KEEP YOUR VEHICLE CLEAN – The 12 Volt Portable Wet/Dry Auto Vacuum features a powerful 65 watt motor and tackles both wet and dry messes. Clean dust, pet hair, crumbs and other debris in between the seats and hard to reach spots with the slim nozzle attachment (included). 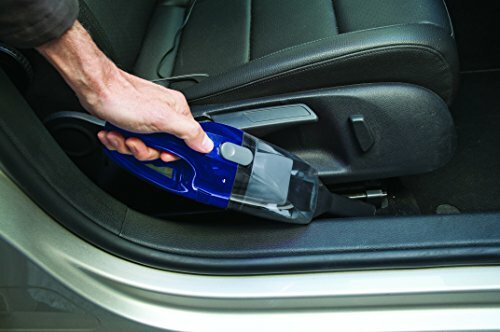 BEST FOR CARS, TRUCKS, RVs AND MORE – Just Plug The Wet Dry Car Auto Vacuum Cleaner Into Your 12 Volt Car Lighter Adapter to Provide Power To The Vacuum. The long 9 Foot cord allows you to clean from the driver seat to the car trunk. Keep your car clean and organized. EASY TO USE ON THE GO: Insert the 12V plug from the vacuum cleaner into the accessory/lighter outlet and turn on vacuum for powerful cleaning without the need for a conventional outlet. Save your quarters at the carwash by having a powerful vacuum with you wherever you go. 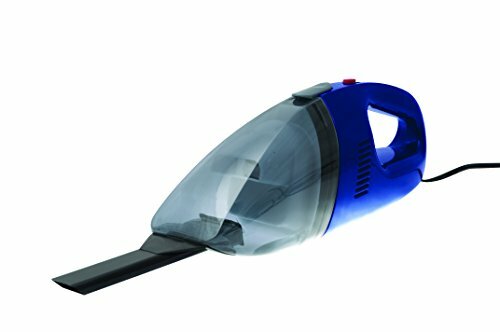 KEEP YOUR VEHICLE SHOWROOM CLEAN – The 12 Volt Portable Wet/Dry Auto Vacuum features a 65 watt motor and tackles both wet and dry messes. Clean dust, pet hair, crumbs and other debris in between the seats and hard to reach spots with the slim nozzle attachment (included). BEST FOR CARS, TRUCKS, RVs AND MORE – Just Plug The Wet Dry Car Auto Vacuum Cleaner Into Your 12 Volt Car Lighter Adapter to Provide Power To The Vacuum. The long 9 Foot cord allows you to clean from the driver seat to the car trunk. Keep your car clean and organized. EASY TO USE ON THE GO: Insert the 12V plug from the vacuum cleaner into the accessory/lighter outlet and turn on vacuum for powerful cleaning without the need for a conventional outlet. Save your quarters at the carwash by having a powerful vacuum with you wherever you go. IDEAS IN LIFE COMMITMENT: At Ideas In Life we are committed to providing you with innovative solutions to modern living. WE GUARANTEE IT! We want you to be satisfied with our products, so you can buy with confidence! Click the orange ADD TO CART button to order Now! IDEAS IN LIFE COMMITMENT: At Ideas In Life we are committed to providing you with innovative solutions to modern living. WE GUARANTEE IT! We want you to be satisfied with our products, so you can buy with confidence! Click the orange ADD TO CART button to order Now!